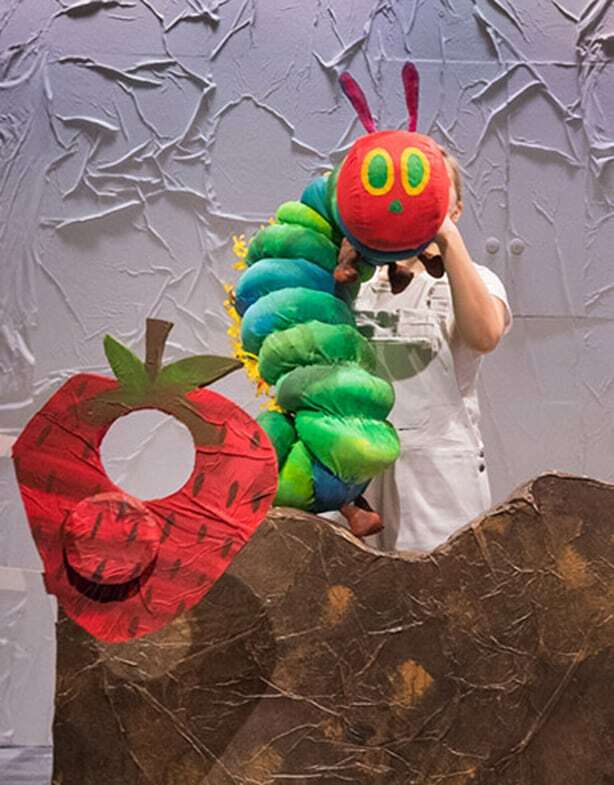 The Very Hungry Caterpillar, by author/illustrator Eric Carle has delighted generations of readers since it was first published in 1969 selling more than 43 million copies worldwide. Carle’s well-known books captivated readers with his iconic colorful hand-painted tissue paper collage illustrations and distinctively simple stories, introducing generations of children to a bigger, brighter world – and to their first experience of reading itself. August 9, 2019 | 2 p.m.
August 10, 2019 | 10:30 a.m. and 2 p.m.
August 11, 2019 | 2 p.m.
August 13, 2019 | 6:30 p.m.
August 14, 2019 | 10:30 a.m.
August 15, 2019 | 10:30 a.m.
August 16, 2019 | 2 p.m. and 6:30 p.m.
August 17, 2019 | 10:30 a.m. and 2 p.m.
Tickets are on sale at Ticketmaster.com or in person at the Majestic Theatre Box Office.